1. How Do You Want To Compare Prices? The cost of electricity can easily sink your business if it isn’t kept under control. That’s why we’ve created this guide to small business electricity prices. However, keep in mind the prices below are the worst case scenarios. You can easily get a cheaper tariff simply by signing a new contract. Disclaimer about tables above: The prices listed above were believed to be accurate at the time of publication (03 January 2019). They reflect each company’s deemed or out-of-contract tariff rates for non-domestic customers with a profile class of 01-04. If tariff rates varied by region, we picked the highest price per kWh along with the corresponding standing charge for that region. The first six companies in bold are the Big 6 Energy suppliers and are ranked on market size in Q1 2017. The remaining companies are ranked based on search popularity at the time of writing. Rates are subject to change at any time at the sole discretion of the energy supplier. Also you should be aware that the prices above exclude VAT (normally 20%) and Climate Change Levy (CCL). At first glance the prices listed above probably seem very high. And that’s because they are. They reflect what are known as deemed or out-of-contract rates. So what’s the difference and how can you get better business electricity deal? Deemed rates occur when you have no active contract to supply your business with power. This most commonly happens when you move into a new business premises. The current energy supplier assumes that you want to have an uninterpreted supply of power and so will continue supplying the property with power but at their much higher deemed rates. You are in effect ‘deemed’ to agree to be supplied by the previous occupant’s energy supplier until you sign a contract with them or switch to a new supplier. Out-of-contract rates (sometimes also called extended supply rates) are very similar, expect they occur when your existing contract with a supplier ends before a new one is put in place or sometimes if you repeatedly fail to pay your energy bills. You’ll still get power, but again at the much higher price. Unlike deemed rates, you should in theory almost never actually be in a situation where you have to pay these rates. Your supplier should send you a renewal letter well before your contract ends, giving you time to shop for new deals and/or just accept the new pricing plan. Some suppliers will even auto-renew and/or place you onto a new plan (usually a variable rate tariff), which prevents out-of-contract rates. These are generally a fair bit more expensive than the cheapest alternative tariffs in the marketplace, but much less than the out-of-contract rates. Obviously, energy companies want to move you onto a proper signed contract as quickly as possible, which is why they set their deemed and out-of-contract rates so high. It’s an incentive to get you to sign a contract ASAP. But what should you do if you want the best deal? When it comes to sign a new small business energy contract you’ll generally be presented with two different types of tariffs. Generally prices are not the absolute lowest on offer, but gives your business certainty around how much you’ll pay for electricity. However, can mean you’re locked into higher rates if prices fall. May exclude pass-through costs (e.g. Distribution Use of System (DUoS) and Transmission Use of System charges (TUoS) charges). Can offer better rates than a fixed term contract in the short term. Greater risk if prices rise in the future, but you also benefit from any price decreases. Can often switch suppliers more quickly, because you’re not a fixed term agreement. There is no single “best” tariff for all small businesses. What it comes down to is how much risk you want to tolerate. Basically, if you can’t afford a large increase in the price of electricity, you should at least consider a fixed rate tariff. Just looking at the deemed rates above, you could in theory save just over 50% per kWh just by switching between npower (31.91 p/kWh) to SSE (15.74 p/kWh). When looking at the standing charges the difference is even more pronounced, you could save up to 90% if you switched from Total Gas and Power (268.00 p/day) to SSE (23.98 p/day). And remember, these rates are the worst case scenario for each supplier, you could save even more with the right contract. 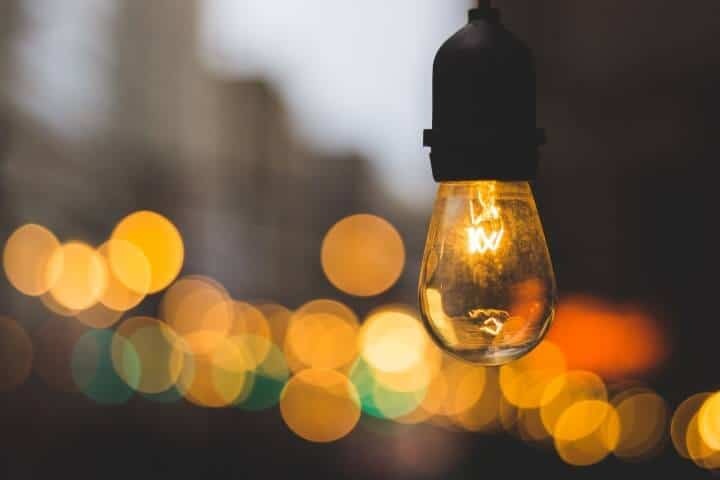 Fixed rate electricity tariffs for small businesses can easily be a further 20-30% less than the best deemed or variable rate plans. Therefore, comparing prices and switching your business energy supplies is probably the best way to get the cheapest electricity tariff. Yet, according to Ofgem only 21% of micro and small businesses switcher suppliers in 2016. This means 79% of small businesses in the UK may be paying too much for their electricity. However, it’s never been easier to compare small business electricity prices online. For example, you can can started by requesting free quotes here. And remember never sign or agree to a new contract before comparing tariffs and suppliers. Just by getting a few quotes, you may be able to reduce your bills by as much 60%. So, who is the cheapest electricity supplier for small businesses? With over 50 business energy suppliers now operating in the UK there has never been more choice. Unfortunately, not one of them is the single cheapest supplier for all small businesses. The rate you pay is based on your usage, profile class, business type and location. And that’s why you need to get and compare quotes if you’re looking for the best deal. Like many things in the electricity market, who does what is not always immediately clear. The business electricity suppliers mentioned above are the companies that actually sell your business electricity. However, they do not own and operate the distribution network of towers and cables that bring electricity to your business. 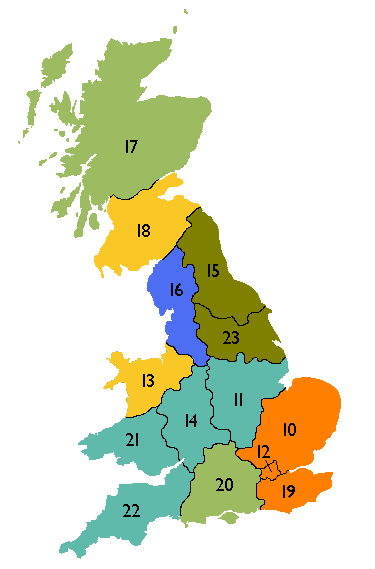 Some energy suppliers also use the regions above to set different prices. For example, E.ON’s deemed rates vary from 17.66 p/kWh in London to 20.55 p/kWh in North Scotland; a 14% difference. As a result the cheapest electricity supplier in one region may not be the cheapest in the next, and that’s why there’s really no real way around getting quotes if you want to get the cheapest tariff. Small Business or Micro Business? Most UK small businesses are actually considered micro businesses based on Ofgem’s definition. We have put in place changes that enable micro business customers to give termination notice at any time during their contract, in order to stop suppliers requiring termination notice only during a narrow time period (typically 30 days). Suppliers must also clearly state the contract end date and notice period on bills and statements of account for micro business consumers on fixed term contracts. The 10 facts below come from Ofgem’s 2016 Micro and small business customer engagement in the energy market report. Fewer businesses switched energy supplier in 2016, declining to 21% from 25% in 2015. 85% of small businesses reported switching because they were offered or found a cheaper deal from another supplier. 52% stated they switched supplier because of price increases from their previous supplier. 82% of small businesses that did not switch because they were broadly satisfied with their existing supplier. Only 21% of small businesses read their contract in detail. 50% of businesses either used or approached by a broker in 2016. Of those who were approached, 22% recalled 50+ calls! Businesses were more likely to be on renegotiated contracts with their current supplier (39%) than hold a first-time contract with a new supplier (31%). The average savings business were willing to switch supplier for was £208. 19% of businesses took no action in the previous 12 months and has not switched in the previous 5 years. Never sign or agree to a new energy contract before surveying the current energy market landscape. Look at your current supplier’s various tariff options, especially the price difference between fixed rate and variable rate contracts. Then, get quotes from comparison sites and/or speak to an energy broker to see what other suppliers are offering. Financial Disclosure: We may be paid a fee if you purchase business electricity with Love Energy Savings using link at the top of this page. This comes at no cost to you and helps to pay for us running this website.